God’s ways are above our ways and His thoughts are higher than our thoughts. We make our plans but God directs our steps. Below is a partial list of how God has expanded the efforts of Hope for Congo over the last eight years. Hope for Congo is . . .
Our goal is to continue these relationships and to expand our collaboration to include other faith-based organizations. Together we can create an even greater impact over a larger geographical area and population. You Can Partner with Hope for Congo . . .
Our Congolese brothers and sisters our able to work for themselves. What they need are tools and resources to help their community move forward in areas of agriculture, community health, education and jobs that will enable them to break the cycle of poverty. You can help the Congolese move forward and bring hope to the next generation. Over the coming weeks we will expand on the details of this initial outline. In the meantime please consider how you may support the people of Congo through your donations and especially through your prayers. We are asking for your help. Ndjoko Punda – May Christ intervene in this horrific situation. Reports indicate battles rage between the military and the militia. People are in hiding. Pray for an end to the evil that is causing the violence and greed. Daniel and Joseph planned to return to Ndjoko Punda. 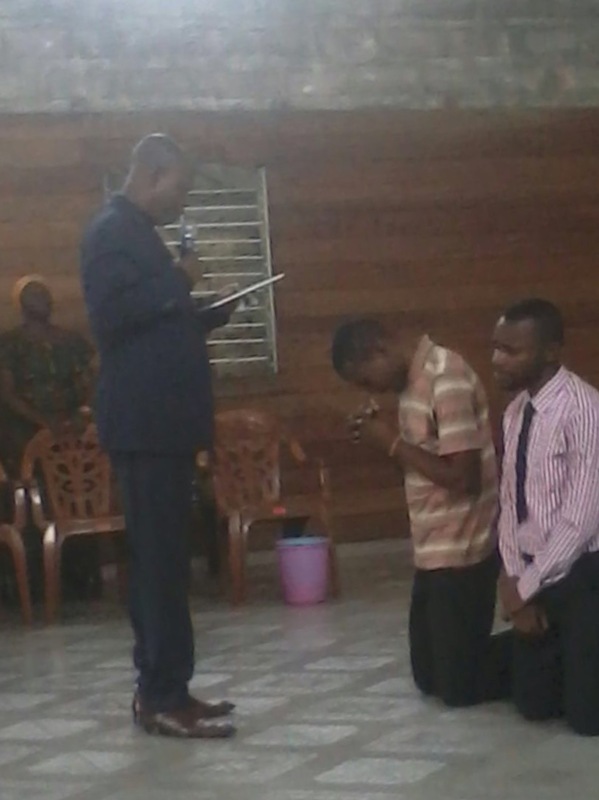 (Photo above is from their commitment ceremony at the Kinshasa church, their church family throughout their education and training while in Kinshasa) Hope4Congo was able to return them safely to Kinshasa. Praise the Lord. Pray for their safety in Kinshasa where they will remain for the near term. Pray for the safety of their Kinshasa church family as well.